I didn’t realize the movie The Howling was based on a novel from 1977. 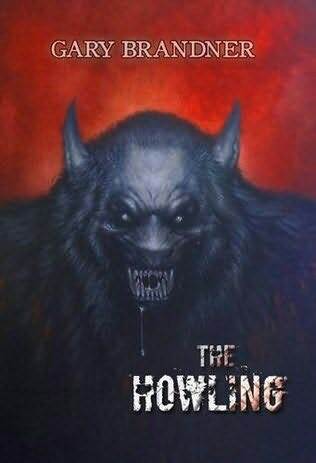 So while researching werewolf novels to review for this year’s werewolf themed AWESOME-tober-fest, I came across the original Howling novel and decided that I had to review it for this year’s Halloween celebration. For some reason, I keep getting The Howling mixed up with another werewolf movie, 1981’s Wolfen (which was also a book first in 1978). But Wolfen was actually more about wolf spirits possessing ordinary animals so it wasn’t really about werewolves. Which is why you won’t see it here. But, Wolfen and Howling are now forever linked in my mind because of this. Anyway, this week’s final werewolf book is, The Howling by Gary Brandner. As I mentioned, this novel was adapted into the 1981 horror movie The Howling, which kept many of the characters but drastically changed the story. I’ll discuss the movie in two weeks for the last week of AWESOME-tober-fest. As for the book, it begins with your typical suburban upper-middle class couple. Recently married and living in an idyllic suburban neighborhood in Los Angeles. While the husband is at work, the wife is violently raped by the community’s groundskeeper and she’s psychologically damaged by the experience. The husband rents a home outside of the city in the mountain town of Drago (which has a very mysterious and violent past) to get away from it all and to help his wife relax. The surrounding town of Drago is populated by an assortment of weird characters including a hermit doctor, the chatty grocery store owner and the mysterious and beautiful antique shop owner. The couple is only there for a few days before the wife starts to hear inhuman howling at night. This, coupled with his wife’s inability to be intimate, causes the husband to act out in violent outbursts. He also becomes drawn to the town’s antique dealer, Marcia Lura. The wife comes to believe that there is a werewolf stalking her, no one believes her and it’s up to her to prove it to everyone and destroy the werewolf. The book isn’t bad. It’s very short (190 pages) and the story is low key. You don’t even see a wolf until page 90 and you don’t see a werewolf transformation until page 150. The bulk of the story is the wife’s struggle to come to grips with her violent attack as well as the emotional distancing of her husband and the awful nightly howling. Several twists and turns happen at the very end which is totally left open with hardly a resolution at all. You also learn next to nothing about Brandner’s werewolves until the very end. They are big and almost bear-like and it seems they can change only during the nighttime. They also keep a semblance of their human intellect when in wolf form as they attack people who have discovered their secret. At the end they seemed to be killed via silver bullets but what is read in the story is not nearly conclusive enough to say even that. At first I didn’t really think I liked it, but after several days to think it over I would consider it a recommend. It’s low key, not totally horrific but an interesting read nonetheless. The werewolf monster is such a visual monster what with the transformations and horrific kills that reading stories about them tend to be less interesting. This one kept my interest, mainly because it was short and it kept the werewolves, for the most part, a mystery throughout the book. But it wasn’t very exciting. A slow burn, if you will (and I will). Gary Brandner would write two sequels to this Howling book; The Howling II: The Return and The Howling III: Echoes. Neither book would have anything to do with the movies The Howling II and The Howling III. Like I said, this first book was adapted into the 1981 movie The Howling but the movie changed a lot of the story. The book would be re-adapted into a more faithful movie in 1988’s The Howling IV: The Original Nightmare. I’ll look at the Howling movies in the final week of AWESOME-tober-fest 2010. So, my friends, this ends werewolf novel week, or week 3 of AWESOME-tober-fest 2010. Hope you are liking the content so far. Next week we take a look at werewolf TV shows. Come back and join me, won’t you? This entry was posted on October 15, 2010 at 8:00 am and is filed under books, monsters, reviews, werewolf, werewolves with tags AWESOME-tober-fest, AWESOME-tober-fest 2010, books, Halloween, holiday, monsters, reviews, The Howling, werewolf, werewolves. You can follow any responses to this entry through the RSS 2.0 feed. You can skip to the end and leave a response. Pinging is currently not allowed. Great review Pax. I didnt know this was a book. It does sound like a good, short read. The Howling was the first scary movie I ever watched. I think I watched it through a lossely knit afghan (the blanket, not the middle-easterner). Had nightmares about it for weeks. I blame that movie for me needing to sleep with the lights on until I was 15. That, and when Dee Wallace turns into a werewolf at the end, she looks like Chewbacca, who then promptly gets its head blown off.